The exercise and fitness craze called Pilates began in the early 1900’s as a way of creating strength, flexibility and control for people who were physically minded, injured or sick. It was originally called Contrology by its inventor Joseph H. Pilates to help people heal from; the common ailments of his day like the common cold and flu; diseases such as Asthma and Tuberculosis; as well as dealing with the issues met by amputees and casualties of the World Wars. He also found it necessary to make his method known first to the people whose jobs were to use their bodies in a physical way; such as Pugilists, Soldiers, Gymnasts and Circus performers; Singers, Actors and Dancers. He believed that approaching people with these types of careers, would inspire a way of moving that would lead the general public to a vibrant way of living. He was appealing to the natural tendency for humans to look up to role models, to people who lived in the public eye and then his philosophy of movement would catch on. People today feel like Pilates is for the rich and famous, to think this is to not see the true intention of Mr. Pilates. The method is anchored in a series of exercises that; stretch the body, strengthen the skeleton and connective tissue, and bring it together using purposeful controlled movement. In this way the movement and the tempo of the exercises in the workout will breed the zest for life needed to enhance a persons wellbeing. 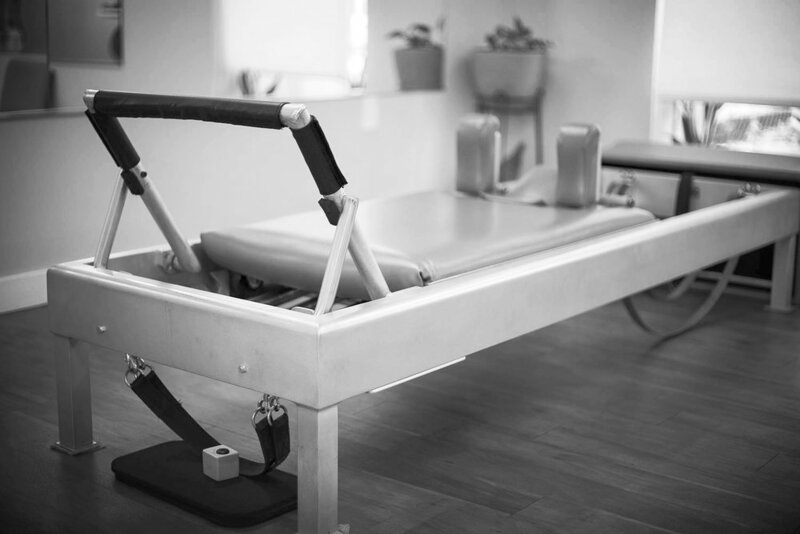 It is possible to train fatigue into the body and in his method, Joseph Pilates was ahead of his time by making every effort to teach us how to train strength and vibrancy into the body, not weakness. His ultimate goal can then be supported, to live in health and happiness through the attainment of the perfect balance of mind and body. Mr. Pilates came to this understanding through many years of study, observation and practical application of his ideas. In the beginning the use of equipment was very important to him, just as the teaching of his method would later come to be. It is the current understanding that He worked to perfect equipment to help him reach his goals. This never materialized but he did come close to inventing equipment that could accommodate all types of bodies, a purity of some type of mechanism that we could use to balance our bodies and minds. 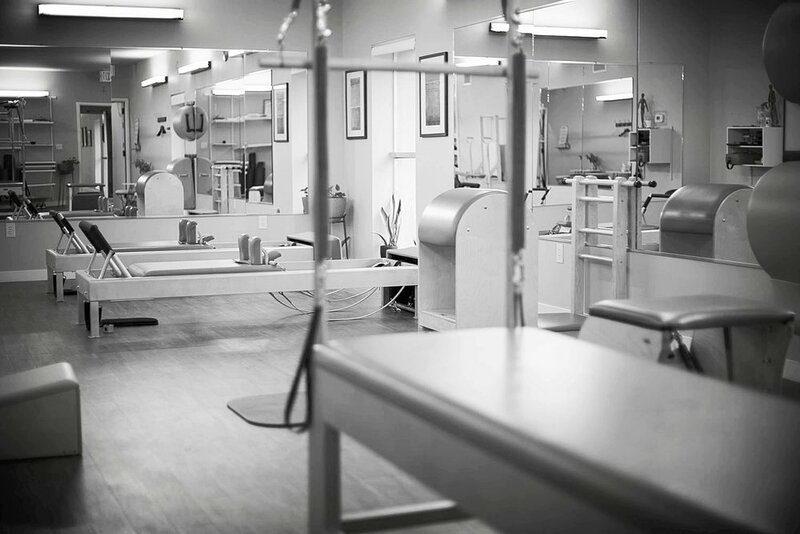 Animo Pilates use Gratz equipment exclusively. Below are photos of the apparatus, as they are now called, that bring out the intended goals of each and every exercise that Mr. Pilates wished for when doing each of the exercises and workouts we now call Pilates. A balance between Mind and Body is achieved through a systematic approach to Pilates. The apparatus most associated with a Pilates Workout. This piece aligns and pulls the body into the center. Invented to help women climb up into streetcars of the early 20th Century. The high chair enables you to hold the upper body symmetrically over the pelvis as you strength your legs. The Wunda Chair was invented for home use. It takes an advanced body to use it wisely. The Cadillac can be used for all types of bodies and all conditions and is a favorite to all clients. You may even be asking us to use it to end your Pilates lesson. We wonder. What type of exercises do you think would be done on these apparatus?